^ 2.0 2.1 Toronto Transit Commission Subway ridership, 2014 (PDF). 多倫多公車局. [2017-02-24]. （原始内容 (PDF)存档于2016-11-12）. ^ 3.0 3.1 3.2 James Bow. The Scarborough Rapid Transit Line. Transit Toronto. 2012-02-05 [2013-02-05]. 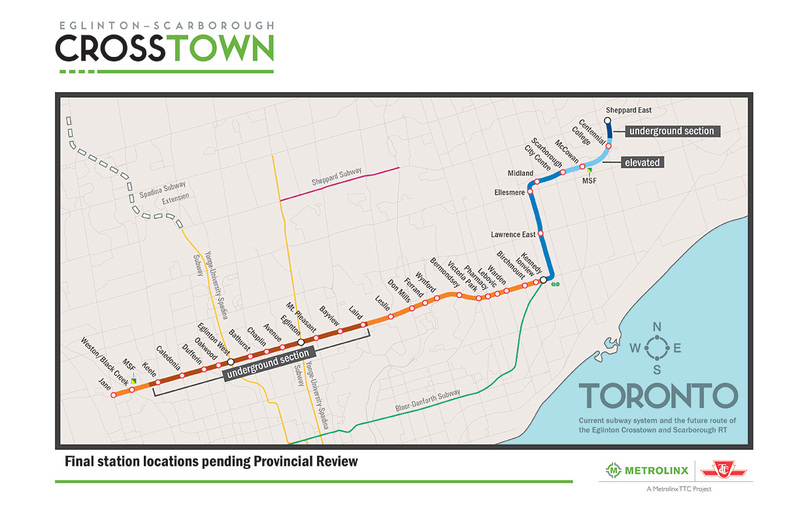 ^ Current subway system and the future route of the Eglinton Crosstown and Scarborough RT. Metrolinx. [2013-02-05]. ^ TTC Kennedy Station. TTC. [2013-02-05].